Charles McMicken, a businessman and slave-owner whose bequest of land and money allowed Cincinnati to found UC, and McMicken Hall, which bears his name. CINCINNATI — Following a student government vote to remove the name of Charles McMicken from the University of Cincinnati’s college of arts and sciences, the university will spend a semester examining whether it should continue to honor and commemorate the slave-owner who founded it. McMicken, an early 19th century businessman from Pennsylvania, bequeathed the city of Cincinnati money and property “ to found an institution where white boys and girls might be taught ” when he died in 1858. The cause was personal to him, according to his will’s writer, because he had never obtained much education himself. Pages later, the will also included provisions to free his slaves and send them to a parcel of land in Liberia -- an idea common across the country in that era , when many believed peaceful coexistence between free white and black people in the United States was impossible. Not mentioned at all were the two black children he is rumored to have fathered by slave mothers. “How we figure these troubling facts into our current identity and future direction is now ours to determine,” UC president Neville Pinto wrote in a Monday news release. A commission of professors and outside experts will spend the spring weighing whether the modern-day university should continue to wear the founder’s name on McMicken College of Arts and Sciences or reconsider his place on campus, according to Pinto. 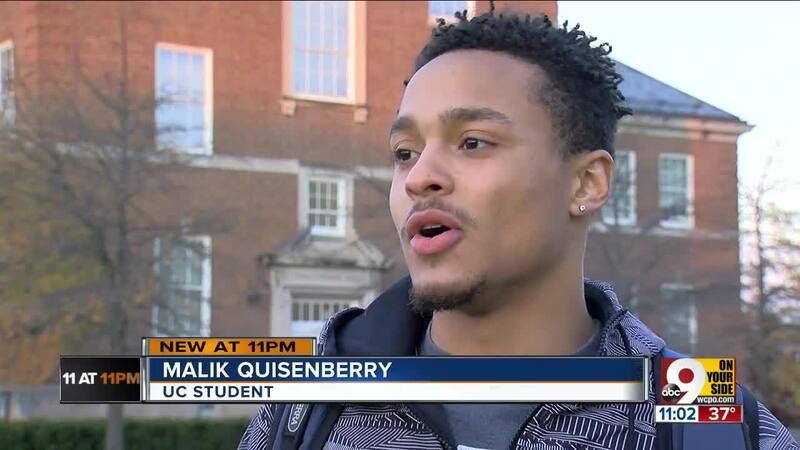 Malik Quisenberry, a black student, said he would like to see the building renamed after a black person -- but, at a minimum, he'd settle for "somebody that isn't racist." Although he died before the start of the Civil War, the ambivalence toward McMicken’s legacy recalls recent clashes over monuments to other men who either owned slaves or actively fought for others’ right to do so. Statues honoring Confederate soldiers in general and specific figures such as Gen. Robert E. Lee have been moved, removed or publicly challenged in the wake of events such as the Charlottesville Unite the Right rally and white supremacist Dylann Roof’s murder of nine black worshippers at South Carolina church. Supporters of keeping such monuments often argue that taking them down represents an erasure of national history; those who believe they should be removed argue that men who supported slavery should not have a place of honor in public spaces.